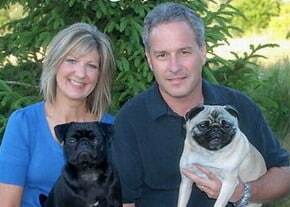 Valentine's Day is just days away on Thursday, February 14th. Now is the time to order your sweetheart those Valentine's Day roses that express your heartfelt affection and love. 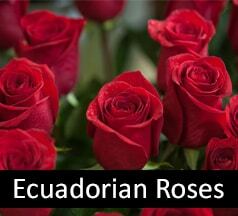 Our Rochester flower shop offers these Valentine's Day rose bouquets for your consideration: One Dozen Red Roses Vased Red roses are displayed in a classic glass vase from our flower partner in Ecuador. 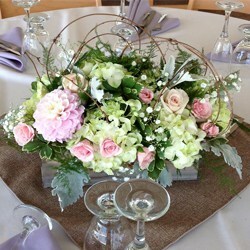 It's a simple, yet sophisticated, floral display and offers your love to that special someone. Love and Devotion - Long-Stemmed Red Roses A glass vase holds two-dozen Ecuadorian roses along with greenery in a glass vase. Love's Divine Bouquet - Long-Stemmed Roses Standing nearly two feet tall, this beautiful floral display for Valentine's Day offers red and white roses accented with Queen Anne's Lace. The glass vase is wrapped with a festive red ribbon. Dance with Me Bouquet with Red Roses This Valentine's Day bouquet offers pink carnations and red Ecuadorian roses along with seasonal greenery in a red glass vase wrapped with a pink ribbon. Cuddle Me Rose Duo This Valentine's Day, we have some special Valentine's Day packages. This one combines a stuffed teddy bear and one-dozen roses in a classic glass vase. Can't Help Falling In Love Duo This Valentine's Day package includes 12 Ecuadorian roses in a glass vase and locally made Hedonist chocolate selections curated for Valentine's Day. Modern Love This Valentine's Day flower arrangement showcases roses and cymbidium orchids in a concrete container accented in gold. It's time to place your Valentine's Day order to make sure your sweetheart gets their special gifts in time! Valentine's Day lands on a Thursday this year and our order slots are filling up. We'd like to recommend that you consider ordering for Valentine's Day now and having these gifts delivered a day or so ahead of Valentine's Day. It will surprise your sweetheart and give them an extended holiday of love to enjoy for many more days. 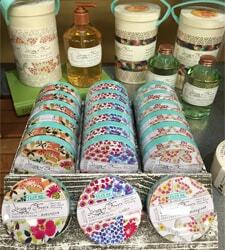 Not sure what to get for Valentine's Day from our Rochester flower shop? Here are some more unique gift ideas from our Valentine's Day collection: Island Girl Add color and a tropical feel to your expression of love with this stunning floral design. It includes Birds of paradise, hydrangea, and live succulents Purple Rhapsody Show a regal sense of love for your significant other with this gorgeous floral display that contains lavender roses, red carnations, and purple mini carnations arranged in an amethyst glass vase. 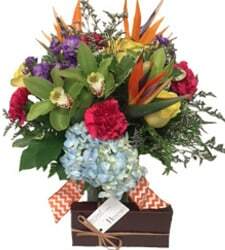 Spring Fever Welcome spring as part of your Valentine's Day gift with this bold and cheerful floral bouquet. 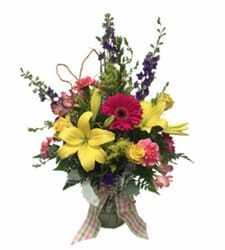 There are spring flowers like tulips and iris along with yellow roses and fuschia gerbera daisies in a keepsake facetted crystal vase. Rochester Romance Add some glam and bling to your Valentine's Day gift this year with this display that offers red carnations, white gerbera daisies, and red roses in a rhinestone pot. Succulent Garden 12 Valentine's Day love doesn't always have to be about flowers. If your significant other prefers plants, consider this incredible 12-inch container full of many types of succulents. 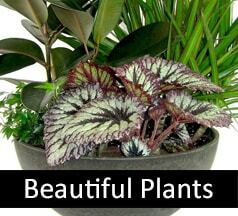 It's perfect for enjoying indoor gardening because succulents only need low light and infrequent watering. Ready to order? Call or visit our Rochester flower shop or use our online and mobile ordering system to place your Valentine's Day order right now! 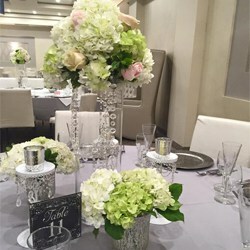 At our Rochester flower shop, we've been thinking about Valentine's Day since the calendar changed to 2019. From ordering enough of favorite Valentine's Day flowers like long-stemmed roses to updating our online shopping site with a new Valentine's Day collection, we're ready to help you make this a magical day of love for your Valentine. To get you in the mood to order early for Valentine's Day early this year, check out some of these highlights of our new gift collection: Decadent Romance Set We offer many types of Valentine's Day gift packages because they are convenient and high value. This particular romantic gift set includes two dozen red roses and a stuffed teddy bear. 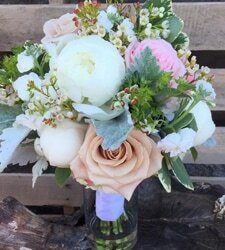 Love's Divine Bouquet - Long Stemmed Roses Standing nearly two feet tall, this stunning Valentine's Day floral display includes red and white roses as well as Queen Anne's Lace. Love Medley Bouquet with Red Roses This red rose bouquet offers a beautiful way to show your love this Valentine's Day. Country Sweetheart Bouquet Your sweetheart may be charmed by this country-style bouquet that offers red roses and white daisies in a keepsake ceramic crock with embossed heart and Italian raffia bow. 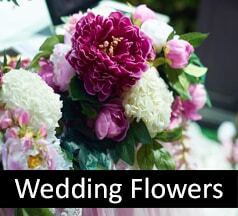 Besides the roses and daisies, there are also pink alstroemeria, red miniature carnations, dusty miller, and huckleberry. More Valentine's Day Gifts to Come! Be sure to visit our blog again in the coming weeks as we reveal more from our Valentine's Day collection. 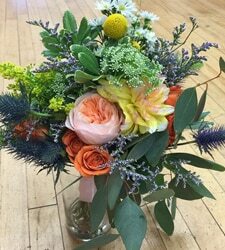 However, if you are ready to order, we're here in our Rochester flower shop as well as available by phone or through our website.